Brisk Insurance has developed a unique approach to insurance planning for clients to help them better understand their insurance choices. They have strong processes, get outstanding results and are very passionate about their work and clients. The key differentiator is to focus on ensuring any claims can be paid – rather than selling policies. The overall business focus is strong, and Brisk has taken a measured approach to expanding the business, ensuring they do not compromise any key principles. The Judges approved of Brisk’s business growth strategy, without compromising principles. 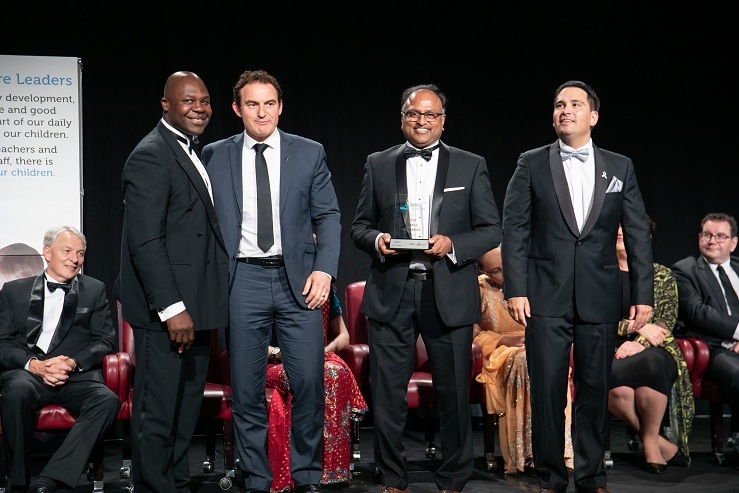 Brisk Insurance won the ‘Best Small Business Award.’ Its Director Anand Srinivasan is seen here with (from left) PIC Insurance Brokers Head of Distribution Peter Mensah (Sponsor) with Stuart Nash and Simon Bridges.